Starring: Ben Stiller (Night at the Museum), Vince Vaughn (Old School), Jonah Hill (21 Jump Street), and more. 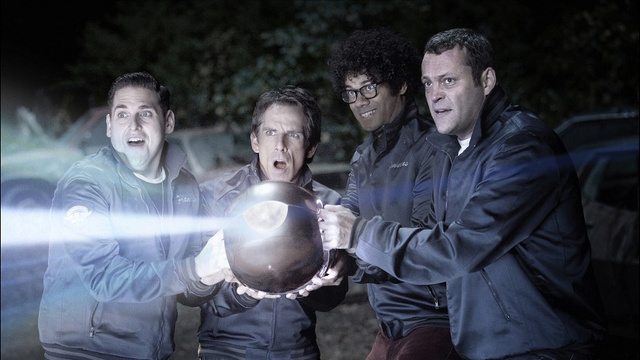 Comedic actor Ben Stiller teams up with cohorts Vince Vaughn, Jonah Hill, and relative newcomer Richard Ayoade in this highly predictable comedy entitled The Watch. 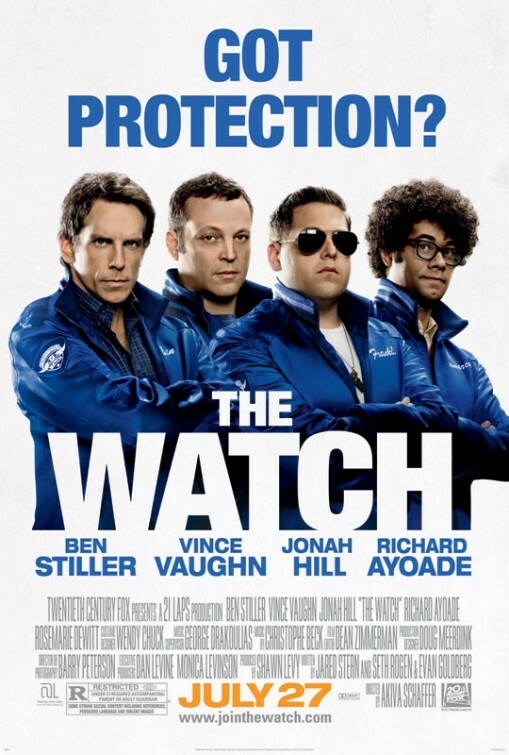 Directed by Akiva Schaffer (director of Hot Rod), The Watch introduces the characters of a suburban community in which activity leader Evan Trautwig assembles a group of volunteers to defend the neighborhood from violence after an employee at his local CostCo meets a most unfortunate and bizarre demise. The situation becomes even more bizarre as events and discoveries of an extra-terrestrial nature unfold in this unbelievable comedy in which reality meets up with utter ridiculousness. While waiting for this barely bearable travesty to stop its continual shameless product promotions (CostCo, Tide, Samsung, Coca-Cola, etc), plot holes, useless characters, and crude/foul language that may increase earmuff stock this week, the biggest disappointment in this film is the stars themselves. 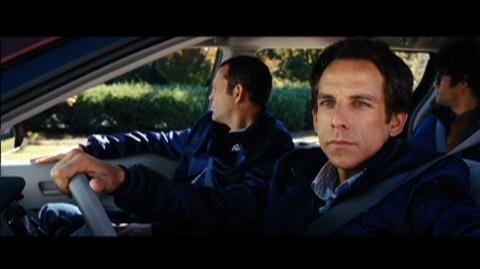 True, there are a few laughs to be had in this film, but the biggest attractions for this movie…Ben Stiller, Jonah Hill, Vince Vaughn…do very little to impress in terms of comedy, material, and performance as they stay in their familiar “comedy comfort zone” that offers nothing new to their trade. The Watch: Potential succumbs to predictability. Far from family friendly. (Parents, please heed the warnings of violence, gratuitous language with the overabundance of the f-word, strong sexual content, and crude humor in this film.) It attempts to tie together several different underlying, yet forgettable storylines that simply serve little purpose in the overall extra-terrestrial tale. Crazy antic after crazy antic is what keeps mediocre alien invasion movie entitled The Watch barely watchable amid the preposterous plots. Score: I give 1 out of 5 stars for The Watch …and that’s being quite generous. I won’t be watching The Watch again anytime soon. I haven’t seen this one, and I don’t think I will bother seeing it. I loved 21 Jump Street from earlier this year, though. I enjoyed 21 Jump Street a lot more than I expected. I think people will be hoping for the same thing here and be disappointed. Thanks for stopping in. Welcome to the page! That is the second DAMNING review of this one I have seen… this is me avoiding this film!! Seems this one is baaaad. hahaha. Those who watch The Watch will watch their watches more. Yeesh. Yours is not the only bad review I’ve read from fellow bloggers. I’m disappointed, not so much because of the cast, all of whom are hit and miss, but because I honestly thought it looked funny early on. Too bad.